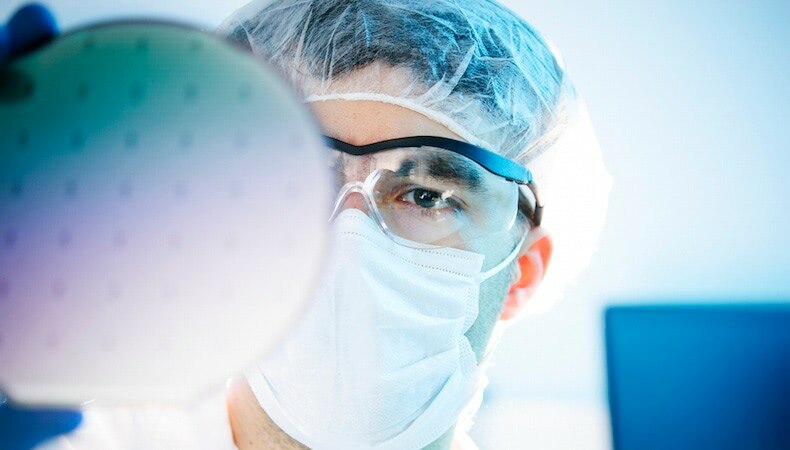 Critical use medical applications require devices and equipment that are protected from dust, chemical vapors, aerosol particles, airborne microbes and other contaminants that could compromise product quality, integrity and safety. Responsible injection molders providing services to medical manufacturers are obligated to adhere to stringent protocols, including clean rooms that are ISO 13485:2003-certified and 21 CFR 820-compliant—the prevailing standards for ongoing quality. In addition to ISO and CFR standards, the clean room environments in which the injection molding process takes place are classified, typically into ISO 7 or ISO 8. Certification for the former verifies that the clean room contains 10,000 pollution particles per cubic meter, and the latter means the clean room is certified to 100,000 pollution particles per cubic foot. The type of clean room used for manufacturing is dictated by specific product and/or customer requirements. Quality control systems like HEPA filters and machine hoods that monitor, manage and remove particulates and dust that could otherwise cause the requisite number of pollution particles to fall out of specification for ISO 7 and ISO 8 clean room standards. Procedure documentation that physically traces the process lifecycle, mold pull cycles and equipment/product testing so verification of controlled conditions are readily available in the event of repeated cycles, routine check, customer request or procedural deviation. Work environment controls that test air quality for purity and routine, comprehensive equipment checks to find and address contaminants that result from production — like particulates from ejected parts, peeled or shaved undercuts and microscopic plastic parts. Further, machine maintenance can introduce contaminants if not done properly. Over-greasing components, for example, can be particularly detrimental. Risk management through implementing specific analysis modules like fault tree analysis (FTA), failure mode and effect analysis (FEMA), and hazard analysis and critical control point (HACCP). Knowing and evaluating the microbial risks helps injection molders identify acceptable limits and develop consistent contamination control assesment during manufacturing. Requirements traceability for FDA-regulated implantable medical products that are intended to remain in the human body in excess of one year, non-implanted, life-supporting devices used outside of medical facilities, and all other critical-use products whose failure would also likely have serious, adverse health consequences. Press operators must fully commit to the procedures within a clean room, as cutting corners is unacceptable. Plus, they must strictly adhere to wearing protective gear like gloves, gowns, masks and booties to protect clean room environments and the injection molded parts and products from contamination. Adhering to clean room practices and certifications is only one benefit of partnering with an experienced, ISO-certified injection molder. Find out more about specialized engineering and how to produce repeatable, defect-free injection molded components in our whitepaper, The Importance of Scientific Molding in Medical Device Manufacturing. Click the button below to download your free copy.